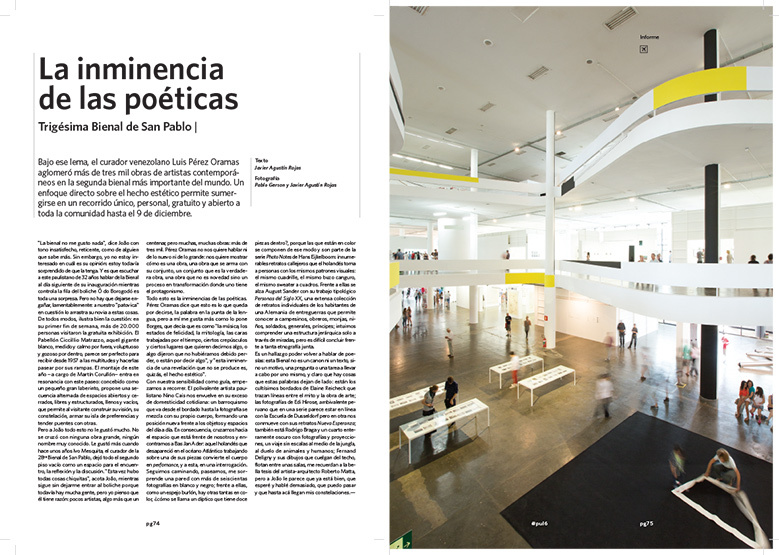 "the imminence of poetics", eight double-spread article on the 30th são paolo art biennial. cover story for PUL magazine. 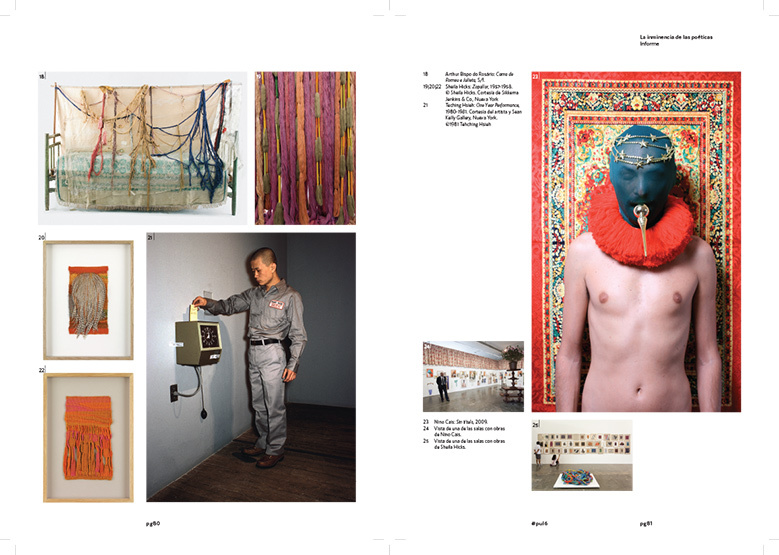 photographs by pablo gerson, the bienal, and javier agustín rojas. 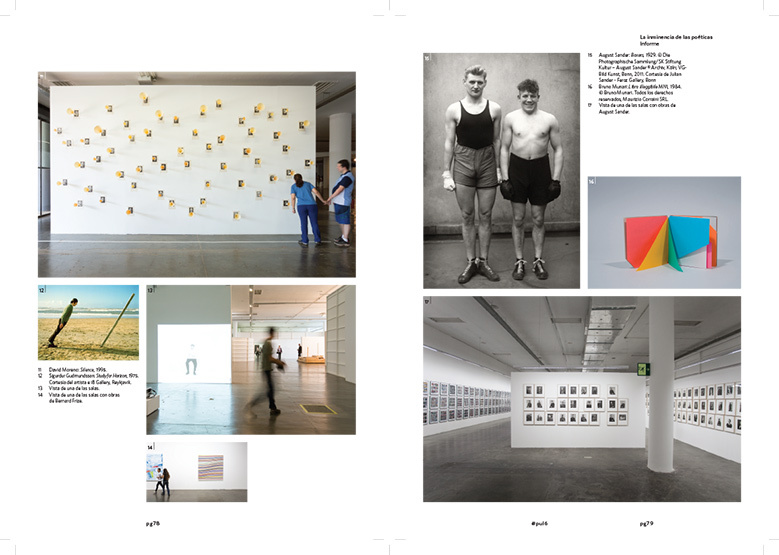 more photographs here. 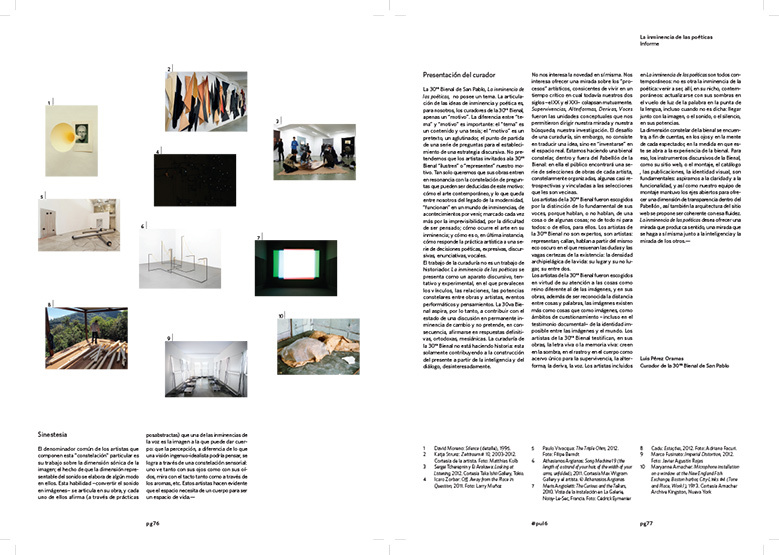 Rojas, Javier Agustín, La inminencia de las poéticas, published in PUL magazine november 2012, Piedra Papel y Tijera S.A., Buenos Aires, 2012.